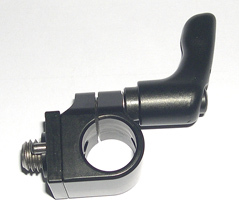 This 15mm rod holder attaches to the Accessory Cube or Arri mount. 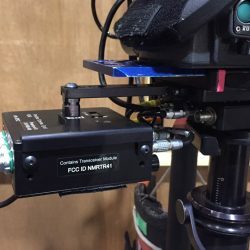 This 15mm rod holder attaches to the Accessory Cube or Arri mount. 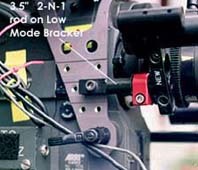 It has the Arri style mounting. 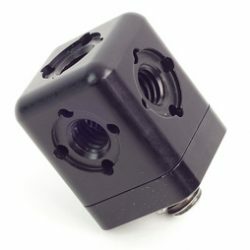 Use an Allen hex key and screws onto the Cube, there are two pins on the bottom to keep it aligned. 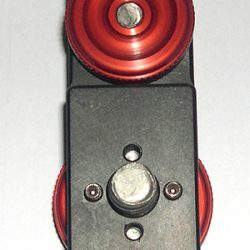 Once mounted a 15mm round Iris rod of any length can be inserted and clamped down securely. Sold as shown. 15mm rods are available at extra cost. Anodized Black.